I got into running a number of years ago and one of the ways I've always found productive to get me out and make sure I get a bit of exercise is to enter races. That way I know I better make an effort to train or I'm going to look like an idiot on race day. 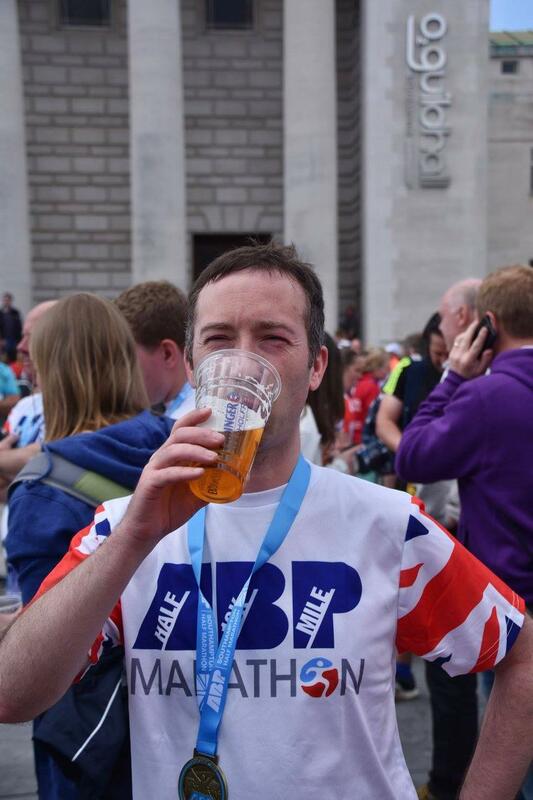 A couple of months ago I was registered to run in the ABP Southampton Half Marathon. A couple of years ago there was a feature that allowed you to register your social media accounts and then they would tweet/post your progress out as you ran. This wasn't available in 2016 and didn't seem to be available this either so I decided to engineer my own solution. I need to be able to programatically send a tweet from my twitter account. I need to know my current status in the race. I need to check if the race status has changed from the last time I got an update to decide whether there is something new to share. If there is a new result I need to craft an appropriate tweet. In all honesty, this was what I expected to be the tricky part, turned out to be one of the easiest bits. Key to the ease of this solution was the Tweepy library. 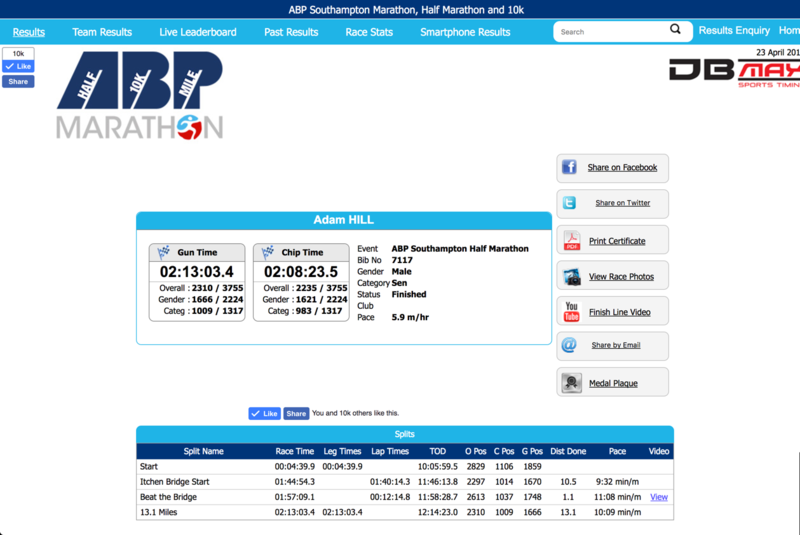 Helpfully the ABP Southampton Half Marathon maintains a live website of each runners status thanks to DB MAX Sports Timing. The screen shot below shows my results after the race was over, however, in the weeks before the race the page already existed and I could see the empty results table. Hence, I was able to design a simple web scraper that would extract out my results. So we need to write a web scraper. """Get current web page data"""
This little piece of python is a bit more complicated so it's worth taking the time to explain what's going on within the get_timings() function. The function takes a single argument that is the url of the webpage where the timings are located. We use the requests library to fetch the web content and then BeautifulSoup to search for all tables that have the text "Start" in them. I always find webscraping to be more art than science. In this example I use the tools of BeautifulSoup to talk through the results table to get the features I need by first finding the header row and then looping over all of its siblings. I store the data as I go in a couple of lists and then convert it to a pandas DataFrame at the very end. Fortunately for us pandas has already thought about people wanting to push results into a SQL database and has the DataFrame.to_sql() function. So having used out web-scraper to create a dataframe we just need to provide the database connection details to the function. Here we use the sqlite3 library. We take bib number and a timings dataframe as inputs. We try and make a connection to our local database file and push the results out; in this instance we are always happy to overwrite any previous version of the database. If the connection isn't established we exit gracefully. """Store the timings data in a sqlite database"""
This is only half the battle, we also need to be able to fetch data back from the database in order to make comparisons to the current data. This function is almost the complete inverse of the previous piece of code. Now we connect to our sqlite database and use the pandas.read_sql() function to pull our data back out into a dataframe. """Fetch the timings data from a sqlite database"""
Now we need to test whether the stored results look any different to the current web results. This is achieved by doing a 'not equals' != check between the two python dataframe objects. If only one row has changed then a True boolean and the row is returned. If more than one row has changed then the last (i.e. most recent) row is the one returned. """Testing if the timing data has changed"""
This component of the project is entirely open to what you would want to say. 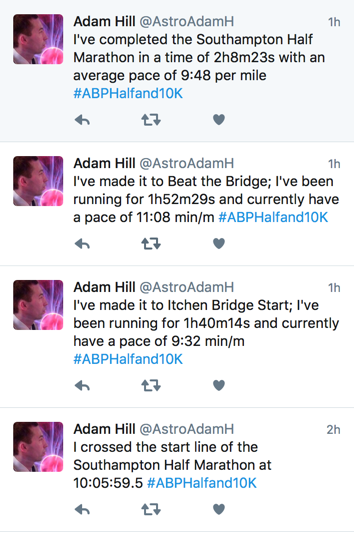 Personally, I chose to have a dedicated tweet for the start and another for the finish. Any intermediate results during the race would be a boiler plate reply that would then have the current time and pace. """Function to generate text of a tweet update"""
"""Try and convert to a datetime else return NaT"""
If we now combine all of this together into a runner() class then we can make it generic for any runner and easy to "run" (excuse the pun). I'll also wrap my original tweeting code into a simple function. """Class to act as a runner"""
"""Function to connect to the astroadamh twitter account"""
Initiate an instance of the runner class with the appropriate bib number. Create a twitterbot ready to send out our tweets. Use a while loop to monitor if we've finished the race. For the duration of the race we check to see if there is a status change and if so we tweet about it. Then we wait 5 minutes to check again.